Croydon 36's are currently accepting expressions fo interest for a number of coaching positions this season. In particular, the club is seeking enthusiastic coaches for it's junior teams, general training/skills training, and Division 3 teams. Eastside Hawks Men Volleyball Club are currently seeing expressions of interest for all coaching positions for the 2017 State League season. The club has two Division 2 teams, a Reserves team and a Premiers team. In 2016 Eastside Hawks Men made the finals in all divisions, and are looking for knowledgeable and passionate coaches to support the continued growth of the program. 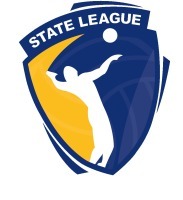 Eastside Hawks supports coaches through the Volleyball Australia accreditation framework. Yarra ranges Volleyball Club are currently accepting expressions of interest for all Coaching positions at the club for the 2017 State League season. Monash University Volleyball Club is the largest volleyball club in Victoria, featuring teams in all divisions of the Volleyball Victoria State League. The club has been unprecedented in winning the Tomas Santamaria Shield (Most Successful Club) for 12 of the 16 years the award has been on offer. 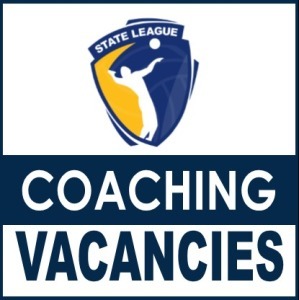 The Club is currently seeking Coaches for the 2017 State League season, which runs from March to August, with a pre-season commencing from late January 2017. In addition to the coaching opportunities for the Club's State League sides, opportunities also exist with the club's social and junior programs. Should you like more information on any of the positions available or to submit an expression of interest, please contact the Club Secretary on secretary@monashvolleyball.com.au or send a private message to the Club's Facebook page.